730 days. How time flies. On August 31, 2012, with a simple (and overlong) blog post, Metrocop was launched. Just a little site that, so far, has pretty much been just me posting comics every now and then. Nothing to write home about, really – certainly no PHW, the big GMod comics website of years past that, at two years of age, was… well, reaching its point of saturation, actually, but whatever. That said, Metrocop was never meant to be PHW. After a lot of good times and bad in big communities, as interest in Garry’s Mod comics waned, I just wanted a place of my own for this little hobby of mine, and in that regard it succeeded. It hasn’t been a huge hit, but still, I’m proud and happy with the relatively meager 30,000 views it’s gotten so far. In that regard, it may not have been the resurrection of GMod comics (a topic that has apparently been quite popular in recent times), but it still kept the flame alive in some way when only a few would. If GMod comics ever became a big thing again (which, to be honest, I doubt, but what do I know), I could point with pride at Metrocop and say, “I was there when barely anyone else was.” Not too shabby! That said, I’d say tomorrow is even more important – September 1st is a day with lots of meanings. 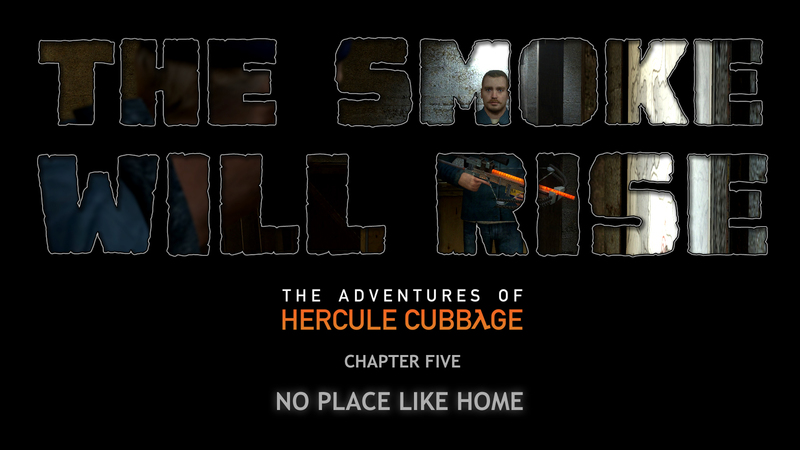 On one hand, it marks two years of The Adventures of Hercule Cubbage, my magnum opus with ridiculously long hiatuses between chapters. On the other hand, it’s the seven(!) year anniversary of my GMod comics debut. I may not have been a part of the Golden Age of 2006, but still, you can count in one hand the number of comic makers who remained active for that long. I’m just that insane. Still, I’m afraid that, although I had plans, there won’t be much of a celebration. Full disclosure: I intended to launch either (or even both) the new comics archive, full of nostalgic goodies, or The Adventures of Hercule Cubbage: Chapter 5 on September 1st, but real life got in the way and, despite my best efforts and sleepless nights the past few days, I don’t think I’ll get to achieve either in time. Ah well, since when does anyone keep up to deadlines in GMod? That said, there will be something. I’ll still try to finish the comic, but I have 40% left to do and it’s not easy bits, so I expect it’ll come out a little later — worst case scenario, though, I think I might post a 3-page preview. And who knows, maybe I’ll manage to finish the archive in time! I had a cool idea for launching that, too, so it should be fun! As for the future, I’m afraid I don’t have many long-term plans for Metrocop – in fact, I feel kind of weary and tired about the whole GMod comics thing these days. 2015 might end up being my last year as an active comic maker, in fact, depending on how pending projects go. 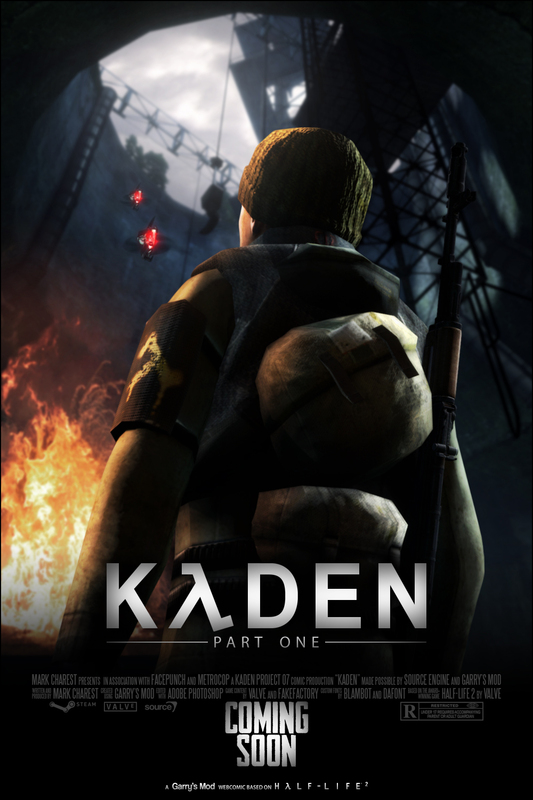 That said, I’m still involved a bit with the community, and I’ll be publishing and archiving Mark Charest’s highly promising Kaden series – Metrocop even gets a production credit in the poster (see on the right)! It’s taken him over a year to get just the first part done, but I’ve seen bits and pieces and it looks worth the wait. I’d say hopefully he’ll speed up for the next parts, but who am I to talk? All things considered, I’m happy Metrocop.net exists and I hope you are, too. It’s a very small piece of something that was once great and many people have a fondness and longing for – I’ve done what I can to keep the flame alive and soon enough won’t be alone here, plus nowadays we can find a few people trying to get into GMod comic making again, as well as at least one longtime fan with a promising comic on the way. It’s certainly better than what was going on two years ago! So, happy birthday, Metrocop. Here’s to a brighter future and to not being the last of my hobby. And let me remind you readers: there’s still more to come! Thank you for your talented creations, they are greatly appreciated! No, thank you for appreciating them! Also, I updated the post with a little something extra. Man it’s been two years already ? Time sure goes by fast. Only Garry’s mod comic I am still reading.